To acquire clear understanding of practical and application context of any technology is critical for everyone working to create lasting, meaningful change in the era of life technology. BioEra offers a series of workshops and training’s exploring the essentials of life sciences related technology to develop expertise. Workshops and training’s can be as short as one day or run over several days. Many of our training’s are modular and can be combined as appropriate for participants concerns. We are also open to work with you to tailor our workshop and training’s to the expanding needs and towards the development goals. Following are some of the brief details for which BioEra can actively engross to conduct the workshop and Ttaining’s. Each workshop and training includes interactive lectures and practical sessions along with provision of relevant notes to the participants. Workshop and training’s are intended not only to provide fundamental understanding and practical handling of the technique but also to offer research applications and aspects of the technique. Course Fees: Rs. 2,500/- (INR Two Thousand Five Hundred Only) If Registration done on or before 19th July 2019. Rs. 2,200/- (INR Two Thousand Two Hundred Only) Early Bird Registration on or before 12th July 2019. Includes studies like nucleic acid extractions, various Electrophoresis and Blotting techniques, Cloning, Gene Modification and Expression, PCR, Real Time PCR, DNA Sequencing, DNA Fingerprinting, Molecular Identification. 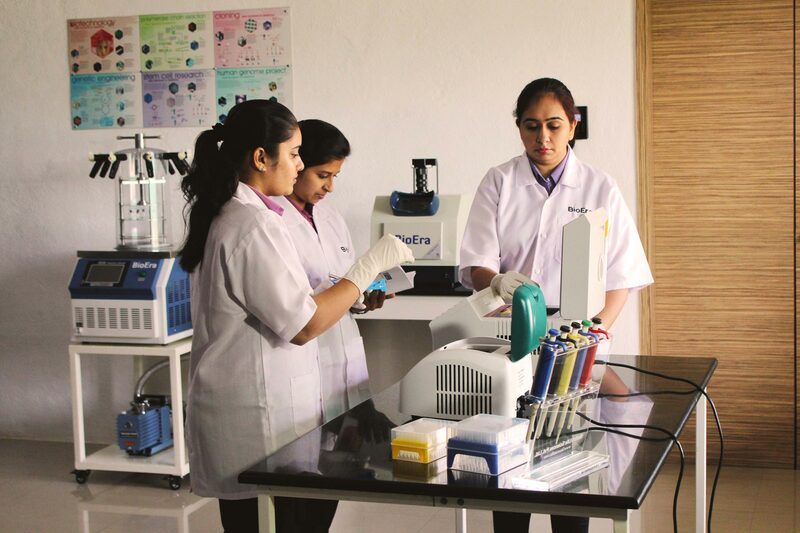 Comprises understanding and developing expertise in studies like various Electrophoresis and Blotting techniques, Protein Purification, Characterization and Identification, Enzyme protein optimization studies, GC, HPLC, Gel Chromatography, Protein Crystallization etc. Includes studies on ELISA, Immunodiffusions, Immunoelectrophoresis, Preparation of Antigens, Immunofluorescence etc. Includes practical experience of working on bacteria, fungi, Yeast, and Bacteriophages, staining and identification techniques, growth pattern study, cell immobilization, studying various commercial, environmental and medical importance of microorganisms. Includes core understanding of fundamentals of fermentation technology, growth and metabolism, bioreactor designs, scale-up of bioreactors, Media and Air Sterilization, Process Analytical Technology, Bioprocess Simulation and Economics. Provides hands-on practice to embryo culture, organ culture, primary cultures, Karyotyping etc. Provides hands-on training to various cultures, Plant Micropropagation, Somatic Embryogenesis, Protoplast preparation, fusion and regeneration methods, artificial seed preparation and hardening aspects etc. Intended to guide with tools like database search, sequence alignment, Gene Identification, Structural Bioinformatics etc. to the expanding needs and towards the development goals. BioEra’s Hands on workshops and training’s are designed to cater 40 Participants on a single platform. A special infrastructure is built to cater the requirements. Example: Workshop and training in Genomics and Electrophoresis as topic, BioEra arranges 40 Electrophoresis units, 40 power packs, 40 sets of Micro Pipettes etc. and reagents and glassware as well as allot lab space to individual. BioEra’s training program is an initiative towards satisfying the gap of need between industry & education. We promise you to enrich and nurture your research capabilities under the supervision of our expertise.